Are you looking for an authentic way of tapping into your patient population? If you’re a biotech, pharmaceutical, or other healthcare related organization looking for a way of sharing patient stories, information on emerging health trends or showing your followers how your services are changing the way we look at chronic illness, you might benefit from a consult. 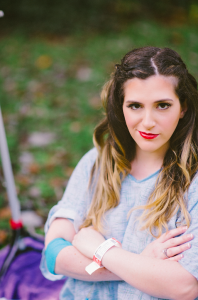 With a lifetime of personal experience as a patient, years of experience as an advocate and several hundred patient interviews under her belt, Ilana Jacqueline is a thought leader with a unique perspective. Ilana is available to write daily, weekly or monthly original blog posts that showcase your company’s mission in action. These these original pieces can be published on your website or pitched to major health-media to grow your company’s brand recognition. You can reach out to IlanaWrites@gmail.com to set up a consult to discuss collaboration opportunities.